The BWCF has supported the work of the Cued Speech Association UK since 2010, helping them to provide accessible Cued Speech training across the UK, either through organised courses or bespoke training for individual families. Cued Speech is a life-changing system which uses eight hand-shapes in four different positions near the mouth to clarify the lip patterns of normal speech, providing access to English for deaf children. With the vocabulary and structure of spoken language made visible, deaf babies, children and adults can see all the sound based units of speech as clearly as hearing people can hear them. Cued Speech can work alongside British Sign Language (BSL) for true bilingualism in both BSL and English and help deaf children make the best use of technology such as hearing aids and cochlear implants. As well as organising an extremely successful residential Summer School, CSAUK has been supported by the BWCF in the development of an e-learning facility which includes an e-learning website http://www.learntocue.co.uk. This is free to use at the request of the extremely talented volunteer who created it alongside our staff. Complemented by an e-learning handbook and used in conjunction with shorter training courses and distance learning through Skype, it enables the provision of more flexible and focussed training at lower costs. 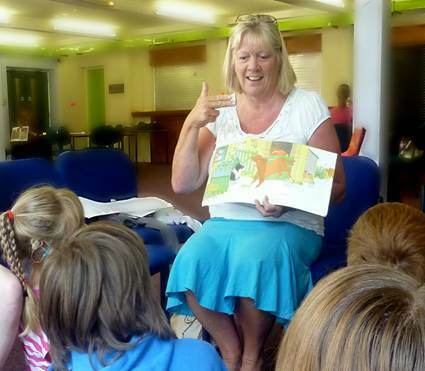 CSAUK aims to support every family who needs to learn Cued Speech. To ensure that no-one is denied training because of cost they provide it free to family members in need. They also train professionals as cost-effectively and efficiently as possible so that deaf children can be supported by Cued Speech both at school and at home and thus fully reach their potential.